Our client, Kaczanowski & Co provide specially selected prime cuts of pork, beef and lamb, sourced from the best Australian suppliers, to give customers the freshest, most flavoursome choice of products. 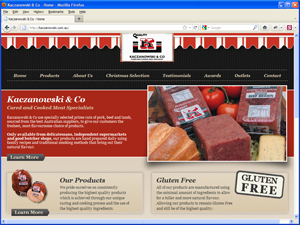 They required a re-design and complete upgrade of their website that catered for their current business objetives and expanding product range. Based on the client's requirements, Customer Community created a new design across the website, aligned with the business current brand strategy, to reflect a fresher and more attractive look. 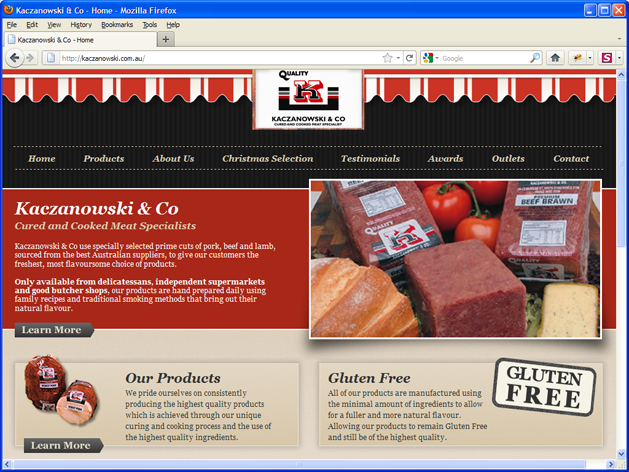 We also used the WebEd Products module to upload and feature the business products effectively. 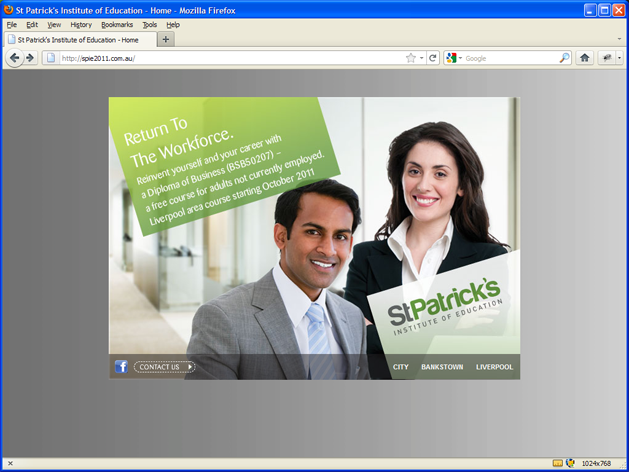 St Patrick's Institute of Education required a quick solution to easily delivery information about their new courses and programs online. using current and new design elements. Using current and new design elements, Customer Commmunity quickly created and built a microsite of three web pages, showcasing St Patrick's course overviews, and included contact web forms for each one to capture contact information of prospective students. Attractive and interactive information platform for prospective students to satisfy their enquiries and expand the organisation's online database. Waterproof Wetsuits is one of the leading wetsuit and drysuit manufacturers in the world and have over 25 years of experience in this field. 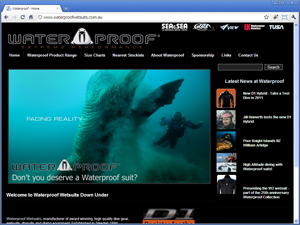 Waterproof Wetsuits have won numerous awards for their range of dive gear. Its current website needed to be redesigned to be impacting and capture the concept of high-quality and extreme performance products. 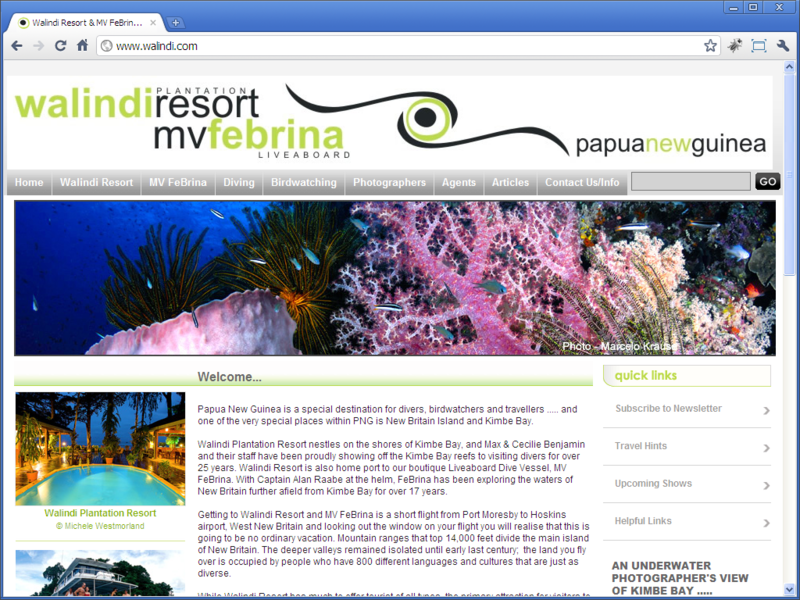 Customer Community worked on developing and redesigning the Waterproof website. One of the main requirements for thiswas to reflect a high-end product with superior quality product features. They also needed to show consistency through the site when displaying its wide ranfe of high-quality wetsuits. CCS had to liaise with overseas manufacturers to obtain high quality images to produce an impacting result on the website and showcase all the products offered. An attractive website design, reflecting quality and extreme performance. The website is now ranked as a top leader on the search engines. The Luxury Travel Bible website is the perfect travel companion: informed, entertaining and one step ahead of the crowd. If you want to find luxury hotels, private penthouses, luxury for less and the ultimate room with a view, you'll find them on this site. 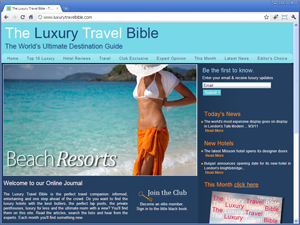 The Luxury Travel Bible website wanted to be seen as the world's best website for luxury travel information. Therefore, Customer Community worked in the creatiion and development of the entire website, which needed to be database driven and constantly updated. The website was designed to have a simple system to manage and update the website rankings, disseminate the information and target it to its audience. We also included high resolution images and multiple editors of different skill levels to reflect a high quality offering and cater for its exclusive clientele. The Top Ten database makes things really easy to navigate and the use of images in the content made a real difference to the visitor experience. Site was live in record time and the design came out great. Web site was old and out of date, didn’t match the clients corporate image. Did not assist with business growth, provided few leads or information. Agents are far happier, content matches business needs, increased leads which will assist with business growth. The site had been live for quite a while and was not being listed in search engines. As a result virtually no leads were coming from the website. Even worse the site was not listed in the Google index. 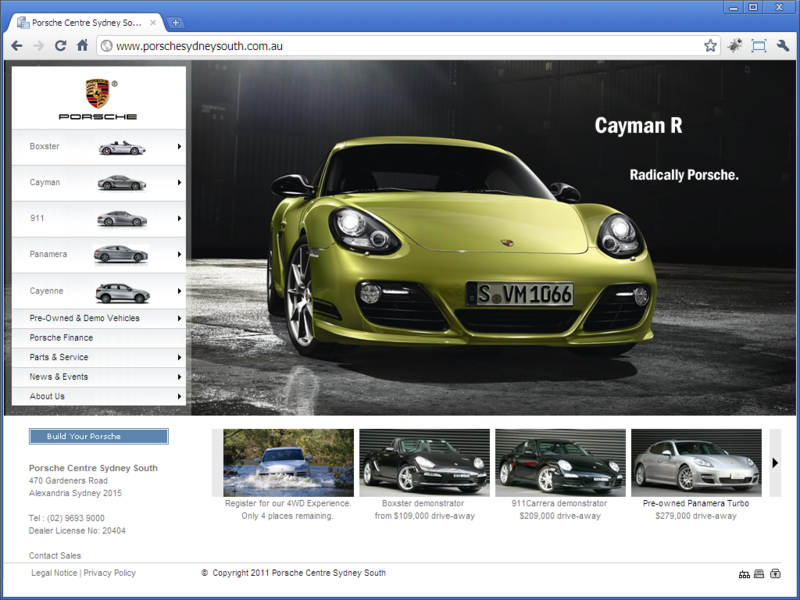 Customer COmmunity Services migrated the site into WebEd without changing any design or content. WebEd is fully optimised for search engines. Without a short period of time the site started to appear in the Google index and in 11 weeks was on front page. The site now regularly ranks well and is a good source of leads for the business. Dragon Bus is the first and only independent travel network in China. Dragon Bus website offers a whole range of travel options and tour packages in China. 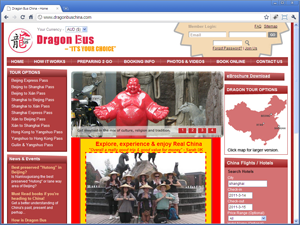 Dragon Bus website presented many inefficiencies regarding its booking system, information system, and also lacked several tools to make it easy to navigate. Some key requirements for this project were to implement a more effective control over the routes manager and build up a more efficient booking process. In this case, we incorporated a new booking system and payment gateway, which were integrated to the overall website. We also implemented a system that allowed Dragon Bus to see who had and who had not made a payment. The website was also integrated with a payment system. Finally, we also enabled the company to keep a record of the number of abandoned bookings. Users can navigate within the site easily, find the tour package that would best suit them and enable them to book for a specific tour easily. Travel agents can make bookings directly through the website, and the new content redesign facilitates their search process. This has increased the company's revenue significantly. Overall, this project allowed us to provide our web design and development services in conjunction with our technological capabilities and tools to deliver a higher quality and more effective outcome - this is what differentiates us from our competitors! The move to the new booking engine has made things much easier. Our previous developer was far more difficult to deal with and moving to Customer Community was a great decision.